also be listed on our sponsors page. 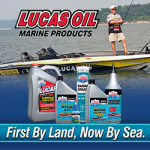 If you are interested in adding your banner ad to Sport-Fishing.com please choose one of our two options. Once you are ready to place your order please email your banner ad to Advertise@Sport-Fishing.com with any additional instructions. If you have any questions before you place your order please email Advertise@Sport-Fishing.com and we will be happy to answer any of your questions. Since we broadcast every week on several different television networks around the country we can offer you three different options. We can help you advertise in one market, or nationally. It’s your choice. 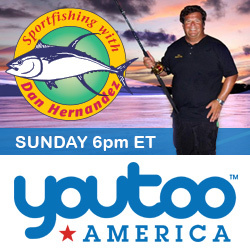 All 30 second commercials will air inside of our television fishing program. Prices very for each option. We offer these options so you can start small and just advertise in Southern California if you wish or you can run your commercial nationally. It’s all up to you. Here are the three different broadcast markets that we can broadcast your television commercial in. Please email us at Advertise@Sport-Fishing.com if you have any questions. We offer product placement for companies that don’t want to invest in a television commercial, but would like to see their products used in our weekly television fishing program. Some of the items we have done product placement deals with include, sunglasses, cooking items, locations, boats, fishing products and many others. Please email us at Advertise@Sport-Fishing.com if you have any questions.